West Bengal Chief Minister Mamata Banerjee, who is on a sit-in over the CBI's attempt to question the Kolkata Police commissioner in connection with chit fund scams, Monday said she will continue her "satyagraha" till the country and its Constitution are "saved". 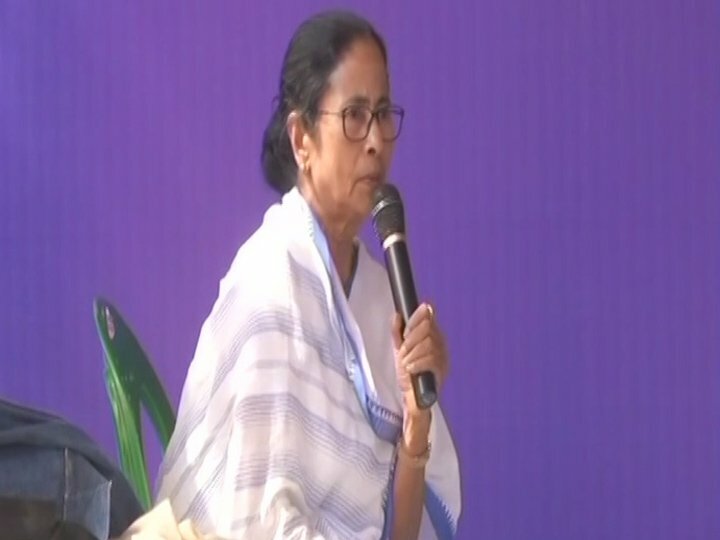 Kolkata: West Bengal Chief Minister Mamata Banerjee, who is on a sit-in over the CBI's attempt to question the Kolkata Police commissioner in connection with chit fund scams, Monday said she will continue her "satyagraha" till the country and its Constitution are "saved". Trinamool Congress (TMC) activists organised rallies and sit-in demonstrations in various parts of the state to protest against the BJP-led central government and stopped train movement in at least two districts in West Bengal. Banerjee, who sat on a dharna around 8.30 pm Sunday to protest against "the attack on constitutional norms", skipped meals and remained awake the entire night on a makeshift dais at Metro Channel in the heart of the city along with some ministers and party members. The TMC chief had undertaken a 25-day fast at the same spot in December 2006 to protest the land acquisition in Singur by the erstwhile Left Front government to set up a car factory. The Singur movement catapulted her to power in 2011. 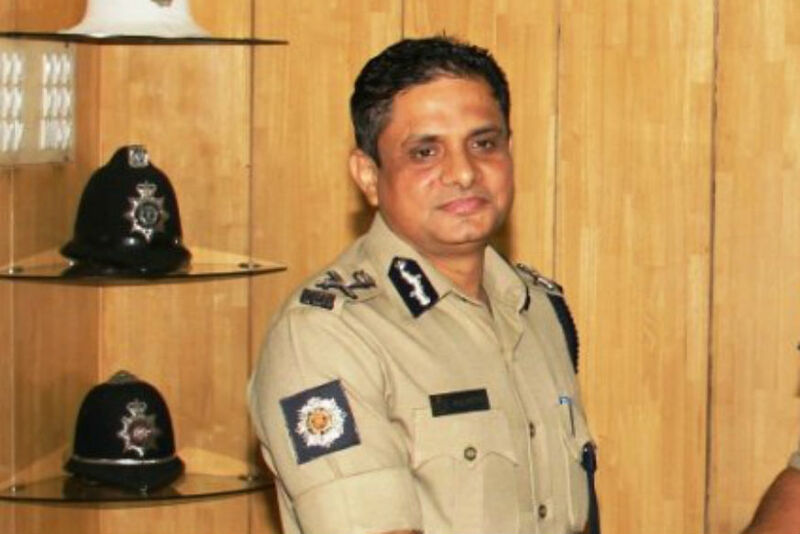 The unprecedented development came after the CBI's attempt to question Kolkata Police chief Rajeev Kumar in connection with chit fund scams. The CBI team, which went to Kumar's residence in the city's Loudon Street area, was denied permission, bundled into police jeeps and were whisked to a police station. "This is a satyagraha and I'll continue till the country is saved," Banerjee told reporters present at the protest site. 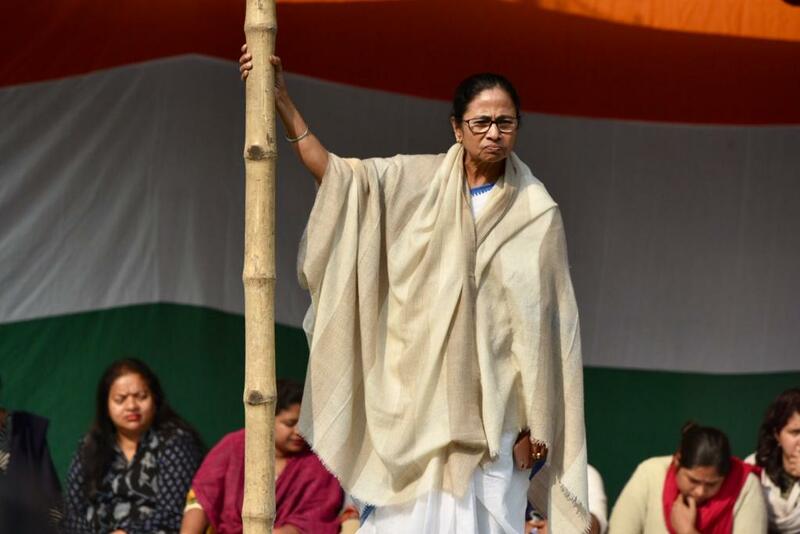 Banerjee said she was getting calls from politicians across the country including former Uttar Pradesh Chief Minister Akhilesh Yadav, Madhya Pradesh Chief Minister Kamalnath, Delhi Chief Minister Arvind Kejriwal and Gujarat MLA and Dalit leader Jignesh Mevani. Samajwadi Party leader Kiranmoy Nanda later reached the dharna venue to express his party's solidarity with Banerjee over the issue. Some road restrictions have been imposed at the spot where the dais was erected. Several party supporters from different districts thronged the area shouting slogans in support of Banerjee. The TMC supremo had said she would not attend the assembly, where the state budget would be placed by Finance Minister Amit Mitra, on Monday. TMC sources said Banerjee was scheduled to attend a meeting of the party's farmers' wing in an indoor stadium here. However, she might not go there and other party leaders would address the meeting. Meanwhile, party workers hit the streets from morning in Hooghly, Howrah, Bankura, Burdwan East, Purulia, Birbhum and North 24 Parganas districts, officials said. Effigies of Prime minister Narendra Modi and BJP national President Amit Shah were also burnt by them. In Howrah and Hooghly districts, TMC activists obstructed train movements while they put up blockades on national highway in Bankura district. Insisting that the spirit of "Constitution and federalism" has been stifled, Banerjee had claimed that the CBI knocked on the doors of Kumar without a search warrant.